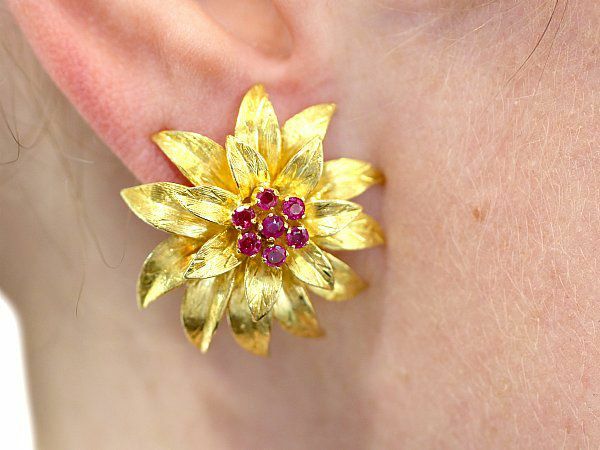 These stunning, fine and impressive 18ct yellow gold earrings have been modelled in the form of flowers. Each three dimensional flower head is embellished with seven central individually four claw set round mixed cut rubies. 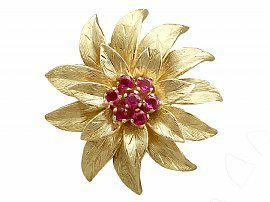 The petals are embellished with a textured decoration. 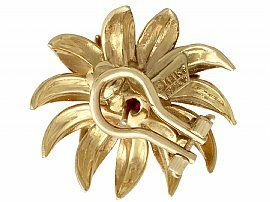 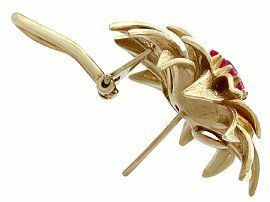 The earrings secure to the reverse with a hinged latch and post fastening. 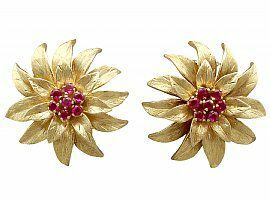 This impressive pair of Italian gold earrings are hallmarked to the reverse with the marks for 18ct gold (18K) and Italy (ITALY). 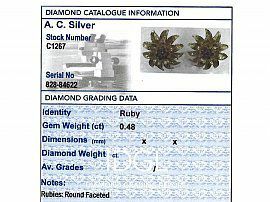 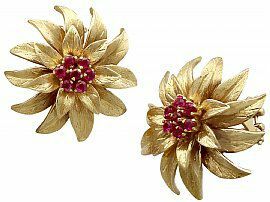 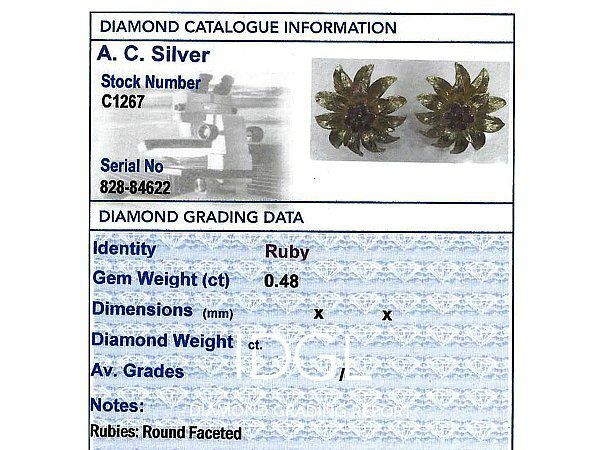 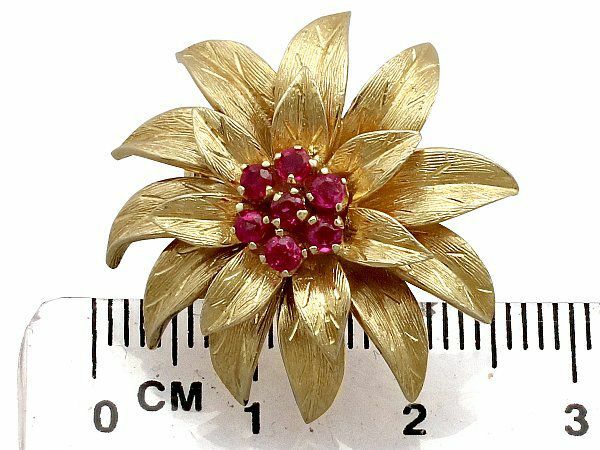 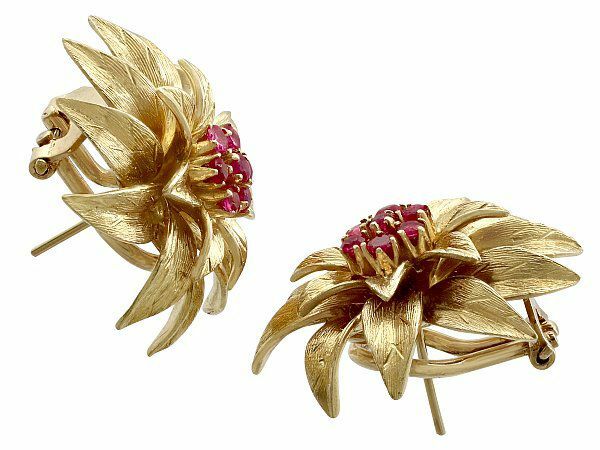 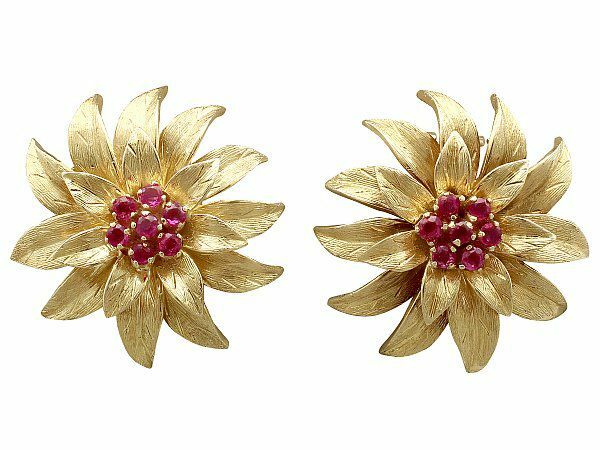 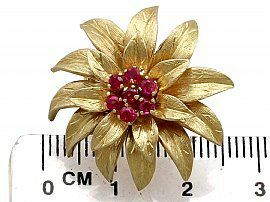 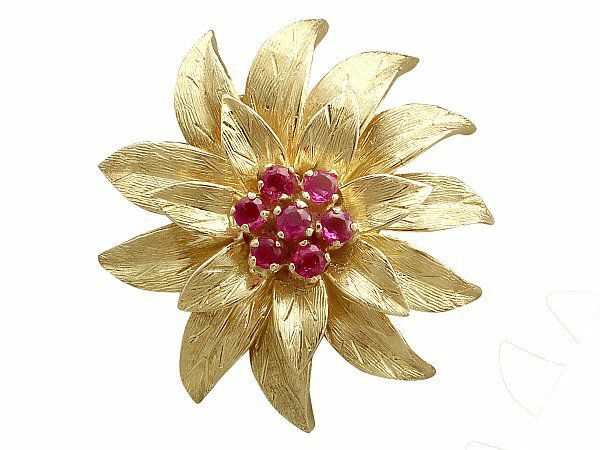 These impressive vintage 1990's floral earrings are exceptional quality set with impressive rubies. The earrings are an exceptional gauge of gold and are in excellent condition with clear hallmarks to the reverse.